Happy Monday my friends! Today I’m sharing something a little different. I’m over on my YouTube (pssst…are you subscribed? 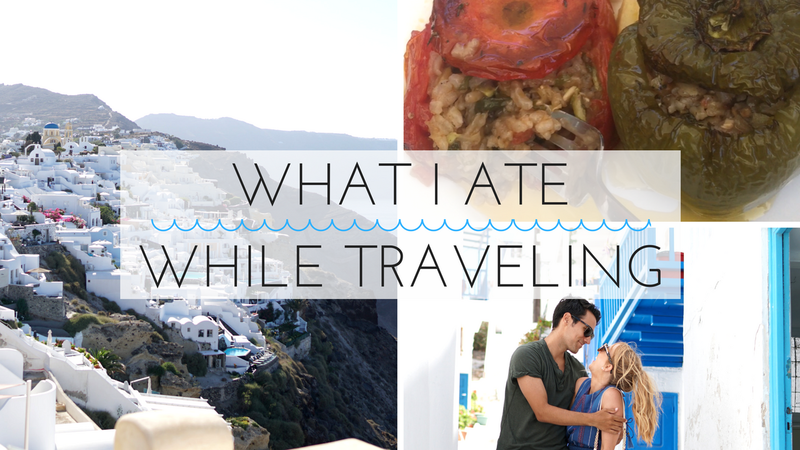 ;)) sharing what we ate while we were traveling in Greece. This might seem like a weird thing to make a whole video about, but ever since becoming vegan, Jesse and I get asked what we eat on a regular basis. Since traveling as a vegan was a new thing for us this year, I thought I would share with you guys how we did it and what we ate! It was surprisingly not as hard as you would think – even in an extremely non-vegan friendly country such as Greece. If you have any questions about veganism or traveling in Greece, let me know down below and I’ll get back to you. I hope you all have a wonderful week, and thanks so much for stopping by! So excited to watch this! I have been dying to go to Greece! Thanks Helen! If you ever get the chance you have to go – it's the most beautiful place! Love seeing what you eat during your trip.